This is a bit of an over-arching category, I know. But firstly, I'm not an expert in books for children over the age of five, though many good ones have crossed my path. If you want an expert in those things you'd be better checking out Book Lover Jo, A Little But a Lot or Along Came Poppy blogs (all linked). But here are some of the books we have come across this year that are truly wonderful. 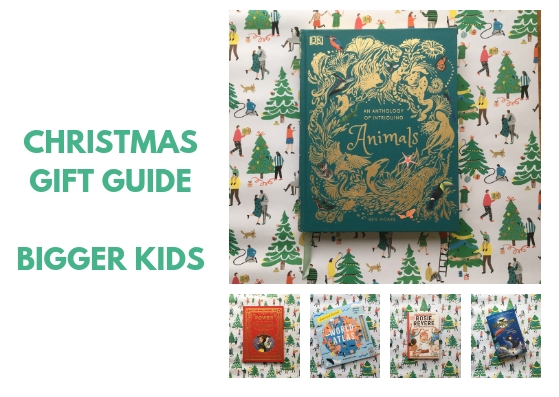 And if you've stumbled across this gift guide and were looking for one of our others, you can find them all linked here. Definitely one of the coolest non-fiction books we’ve seen! You can travel the world and using the clever scratch and discover patches you can find out more about landmarks and flora and fauna from all over the world. Each page stars a different continent and there is a large globe to scratch and reveal where that continent is as well as 10 different scratch and discover things on each page (the different continents have a different focus - mostly landmarks and animals.) This is a great book for all ages - BookBairn loves it as she likes to find things, older kids would be fascinated by the different facts from all over the globe, and grown ups will find scratching the pages immensely satisfying! The illustrations are wonderful too and the facts are so interesting that I think it will stand the test of time even after it’s all scratched. After you've scratched them it's got a list so that you can use the book as a seek and find. Such a fun interactive book and a great gift for fascinated readers! If you have a young girl (or boy) who enjoy a princess story (or even if they have outgrown them) but are at an age where you want them to be looking up to women with a bit more gravitas then this book is a perfect gift! It stars mighty girls who are modern, feisty and reflect the roles that women have in society today! I really enjoyed reading the stories (even though they are aimed at readers aged 5-11) and loved the diversity of the illustrations. They are great for children who are already familiar with the characters and stories, to see a different way of tackling a problem and ultimately that not every story that has a 'happily ever after' needs to have a prince and a wedding. We can choose our own happily ever afters! And that's a great gift to give! We love The Questioneers series of books, and I was super excited to learn that when BookBairn outgrows the picture books (or even if she still enjoys them but we want something more lengthy to read-aloud), she needn't leave these awesome and inspiring characters behind. They will grow with her. In this new early chapter book, Rosie Revere has a really important project to tackle! It's up to her to devise a painting contraption to assist one of the Raucous Riveters enter the town's mural competition. But she has flop after flop after flop, and she starts to lose hope. But with the help of her friends - Iggy Peck and Ada Twist - and a mysterious neighbour, maybe all is not quite as doomed as she fears! With a great message about perseverance, this is a wonderful read-aloud book but also great for independent readers, and is littered with fabulous fun illustrations! For fans of the characters and for new readers, this is a great gift for young readers! When I was growing up I loved flicking through the pages of an encyclopedia and was particularly fascinated by a volume that was purely animals! This book would have given me hours of entertainment and joy as well as filling my brain with wonderful fascinating information about the flora and fauna of our world. With over 100 species, each page features fun animal facts and detailed close-up photographs that children will pore over. Featuring favourites, such as dolphins, tigers and butterflies, as well as more unusual animals like the quokka, there's something for everyone. BookBairn is only three but she already loves finding her favourite animals as well as looking at all the animals throughout. But once she's older she will love reading about the lives of these creatures too. A perfect gift for children who can't get enough of animals, wildlife and nature! I hope you have found something that your bigger readers would love! 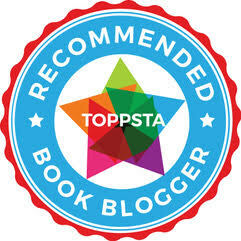 Please keep a look-out for my next list of recommendations which should be up as soon as possible. I look forward to reading these as BookBairn progresses. I think Rosie might be first on the list but she loves that Anthology of Animals already!